Home » Blog » What Can Laser Do For You? Posted on February 5, 2015 by Jonathan R. Grant, M.D., F.A.C.S. Dr. Grant created this great visual on Laser Treatments and what they can do for you! 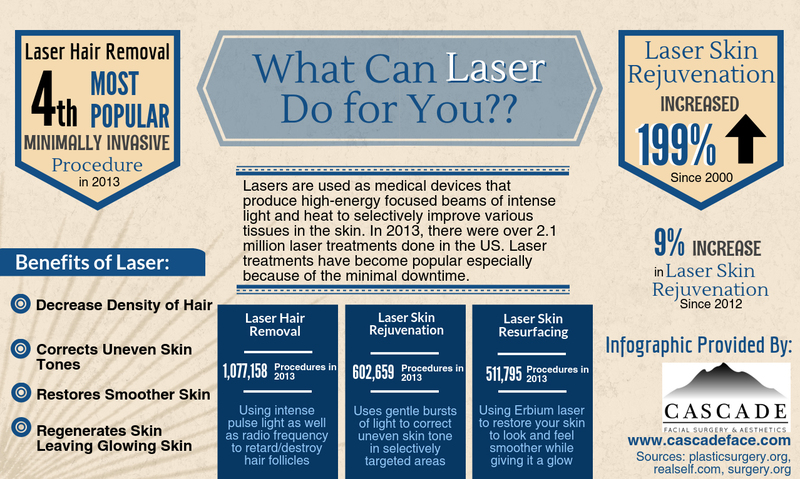 Learn about the different types of lasers we provide here in Seattle, a few facts and the benefits of laser treatments all in this infographic!